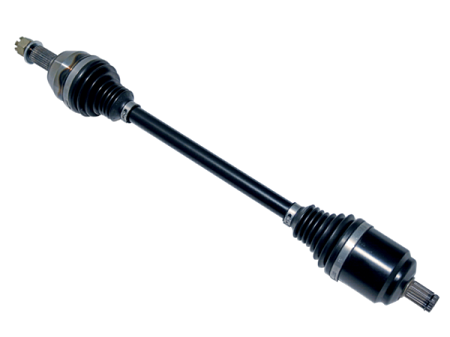 Larger shaft and CV joints are made of high quality chromoly steel for optimal strength and toughness. Superior Induction Heat treatment is applied to all major components for excellent durability. TPEE Boots offer ideal strength and stiffness with dynamic flex fatigue and puncture resistance. 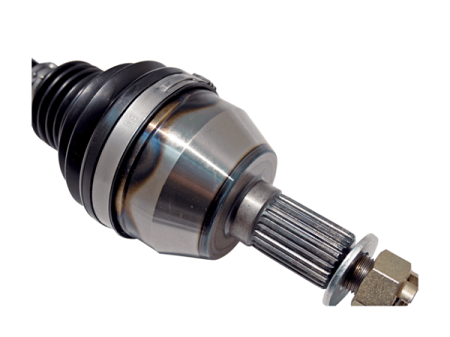 CNC precision machined CV joints filled with top-notch moly grease provide low friction and smooth motion. Have you ever felt that OEM axles are just too skinny to handle all the torque from your high horsepower motor? The beefy Warthog axles are the perfect complement to allow you to push your machine to the limits. Whether you are blazing across dunes, racing down trails, or blasting through deep mud holes, Warthog Heavy Duty Axles give you the strength and durability to tackle a variety of terrains. 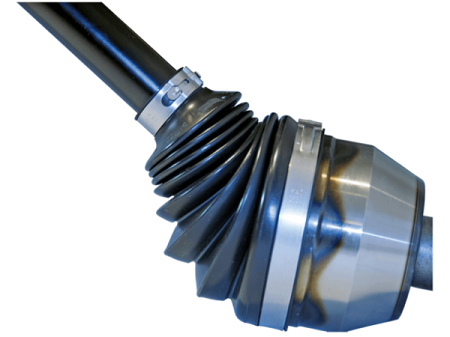 Warthog axles are industry tested and have proven to outperform other brands in the same class. 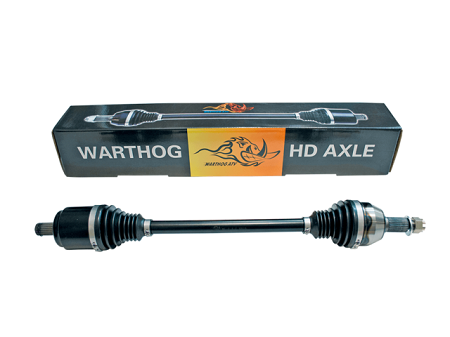 Warthog Heavy Duty Axles are made of the industry-leading chromoly steel. Along with increased shaft diameter and CV joint dimensions, Warthog Heavy Duty Axles are packed with standout features. Premium TPEE boots, combined the flexibility of rubber and strength of plastic, which provide puncture and flex fatigue resistance with outstanding strength. Superior heat treatment for all major components makes Warthog Axles tougher, resistant to wear. Gear up for your next exciting outdoor adventure with Warthog Heavy Duty Axles.